Today’s Motoking Racer Profile is with..
What are your future goals? 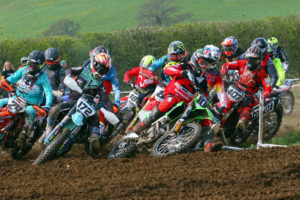 2019 250cc XC British Champion and do well at NETT Quad 2019. Where are you racing this season? DQR XC British Championship, NETT Quad MX Championship, Great 8, Barmouth & Weston if Hockey will do a youth race. Who’s your biggest racing idol? Iestyn Rowlands and Ronnie Mac. Pre – race routine? Have my breakfast and put my gear on. Who’s your biggest goon you race with? Frank, Cai and me. Who would you like to thank? Dad, Mum, GML-ATV and JRC Racing.